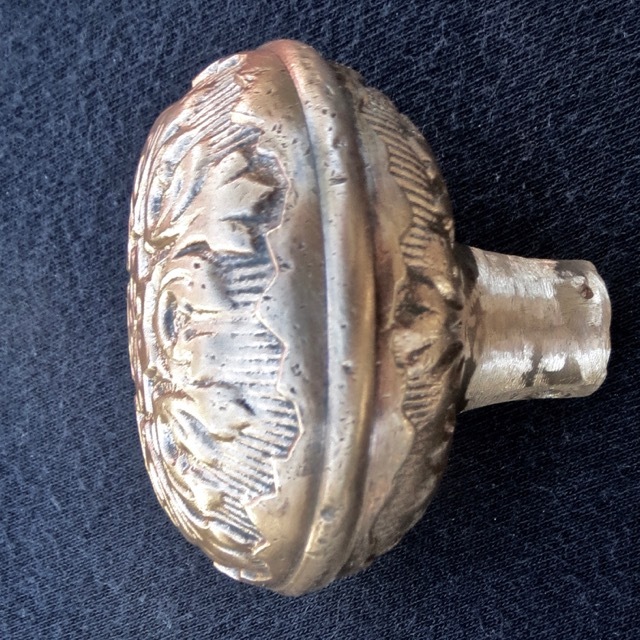 A nice little bell pull knob, 1 7/8 inch in diameter. It looks eightfold, therefore a "K" number. Careful examination reveals the fourfold nature of the outer design.